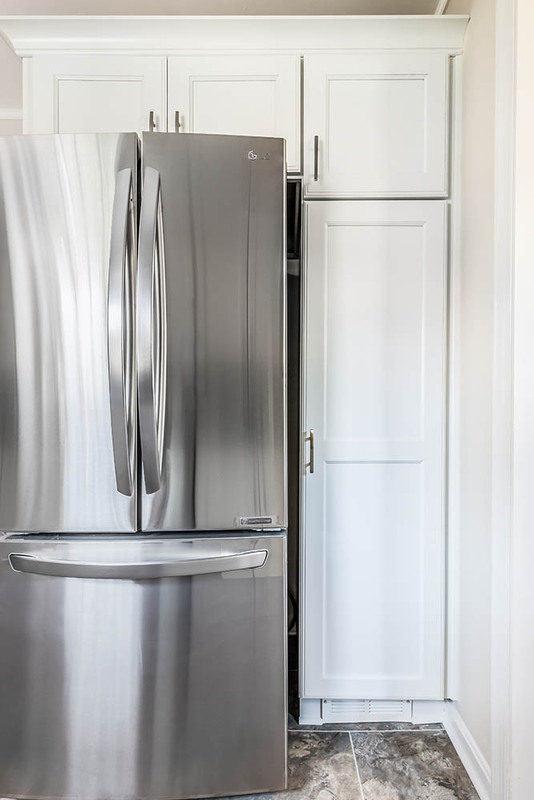 After living in her townhouse for many years, our client accepted a job transfer for a temporary assignment. 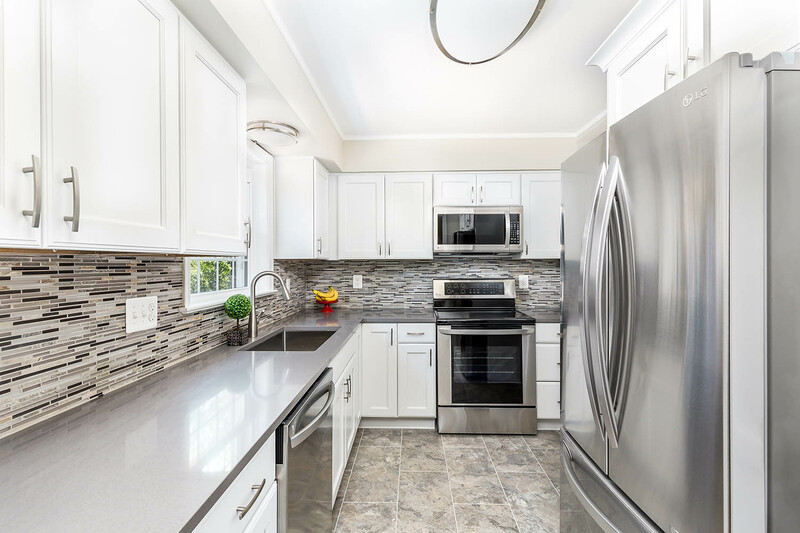 To attract top dollar in the rental market, she realized she needed to upgrade several areas of her home while at the same time choosing selections that matched her style and budget. 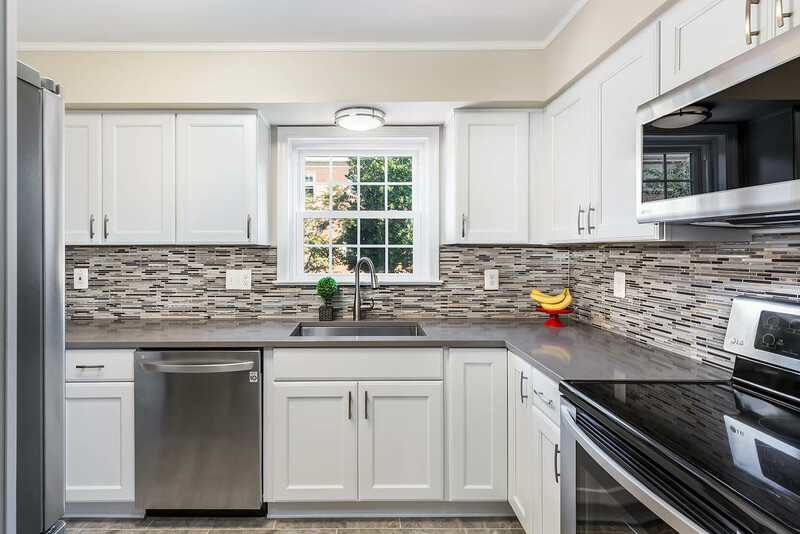 For the kitchen, FA Design Build chose white painted cabinets, the number one of choice in the DC housing market. Keeping the soffits and surface-mounted lights helped keep costs down. 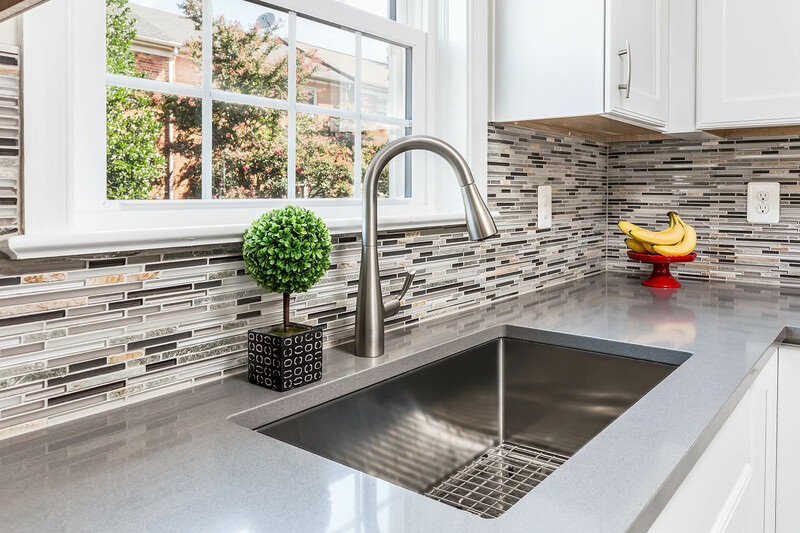 The Level 1 Silestone offers the durability of quartz at an affordable price. The Alterna luxury vinyl floor is a modern choice — offering durability, unique design, and easy cleaning. 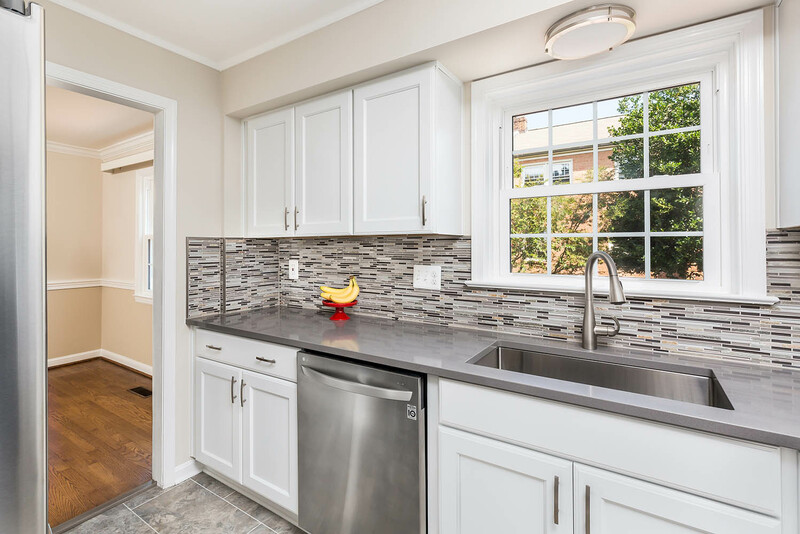 The space was completed with a stone and glass backsplash.